Hey friends, I just finished playing The Elder Scrolls V: Skyrim. Hence here am posting the PC walkthrough. Hope it will help many PC users. Its really an interesting game for this genre. 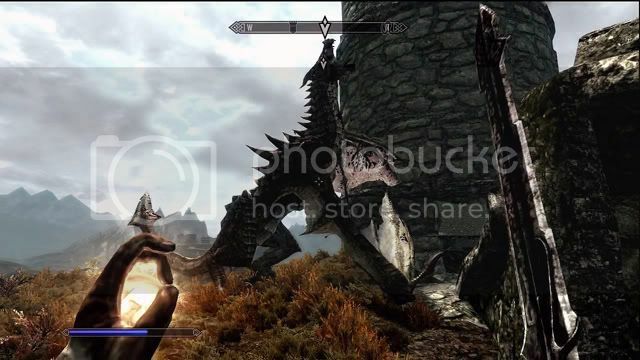 As we all know Dragons are already disappeared centuries ago , but the strange part led to their return and they are on track to a reign of terror in Skyrim. Luckily, to continue some sort of karmic balance on the earth, a bad luck nearly every time accompanied by a happier event. Therefore, in the company of those fatal omens appeared flying a “Son of Dragon”, the latest in a line of Killer Dragons with mysterious powers. And guess, who is that lucky person ? 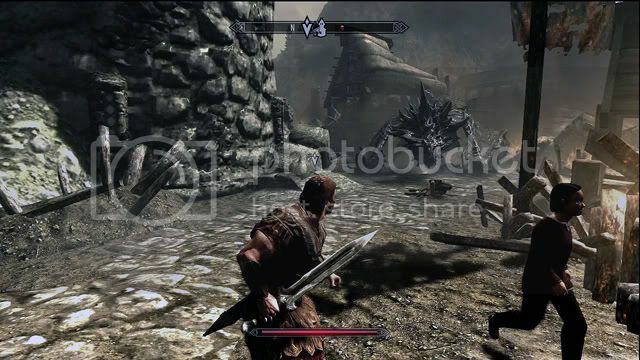 Its you and you will go Skyrim with the hope to unlock the secrets of your lineage and send the Dragons into oblivion. But it is not so easy or I can say would be impossible to face those monsters alone, hence here is the guide for the same. As soon as the Dragon appears, go behind Ralof at the top of the tower then leap on the roof of the hostel . At the bottom, jump on the lower floor and stick together in the yard Hadvar . Trail the directions of the soldier all through the journey to the dungeon. Once you are there, you can decide to follow one or the other. Get armed yourself on the body and get ready for the first battle with the imperial troops. As per the confrontation, Ralof follow the corridor until the next conflict with the soldiers. After the fight, go to the torture room and take away guards. You can then lead to picking locks on the cages and get a number of useful items. Looted the area, go on your way through the corridors to reach the caves. Here you need to kill the archers and enter the hallway from the bottom to find a drawbridge. So use the lever to close it down and keep on your route. 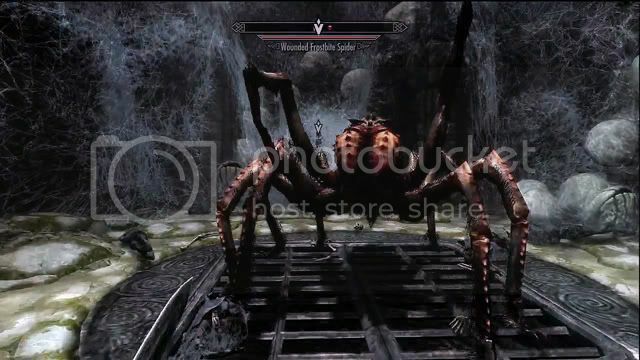 On the other side of the bridge, get rid of the spiders with the help of Ralof and continue to move on in the cave. You will find a bear a bit ahead, Don’t worry, feel free to quietly get around or kill it by surprise with a bow. Once done, go ahead through the tunnel to locate the exit of the cave. Go behind Hadvar on the road and prevent Rivebois stone guardians that you come across. Choose the blessing of your choice then carry on to the village. Once you reach there, make Ralof meet his sister Gerdur. Under discussion, get the items offered Gerdur then go about your business in Rivebois. As soon as you’re prepared to hit the road, cross the bridge at the east of the village and follow the North road for couple of minutes. You will see the town of Blancherie off. There, looking north entrance of the city and refer to the guard at the front door so that it lets you. You can try to persuade him but as you have important information to deliver to the Jarl, it will let you anyway. Once inside the walls, head to Fort Dragon to meet the local lord. 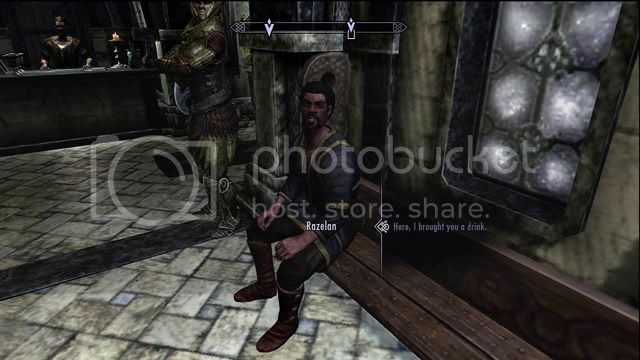 In the castle, announce your intentions to Irileth and discuss the event with the Jarl Helgen to complete the quest.With Hadvar is Alvor from the blacksmith after you get the quest. Once you finish the “Before the Storm” quest, you will automatically get to this mission and should discuss with Farangar, the magician of Jarl. It will request you to leave for the mounds of falls tormented to regain a stone dragon. And If you are already through the “The Claw of Gold” quest during your visit to Rivebois, just offer him the stone right away to finish this quest. After pulling the Stone Dragon, Irileth will disrupt you and request you to go after up Jarl. This will offer you fresh directions to repel a dragon that was sighted in the area. Leave the safety of the city under the dialogue and join Irileth near the West watchtower. There, near to the tower to trigger the appearance of Mirmulnir a powerful Dragon. 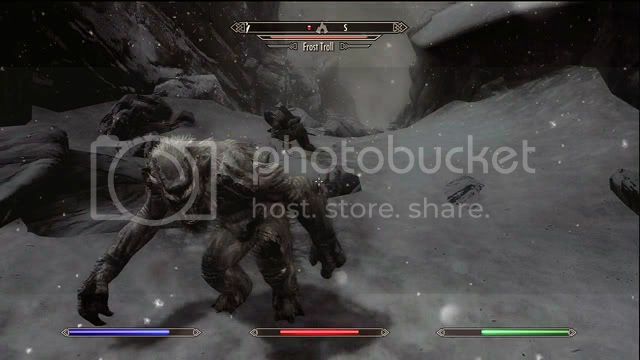 You will need to use your bow or your magic in order to defeat him, to get him to ask and then hit him in melee. Once it is defeated loot his corpse to find valuable resources and look at the burn to get your first cry of the Son of Dragon. This new power will make you the admiration of the soldiers right away around that will benefit you to learn more about the legendary Son of Dragon. As per the conversation with the soldiers, get back to the Jarl and make your report to finish this quest. As a reward, it will provide you with a weapon, a servant and the title of Thane which will allow you to buy a home in the town. Just after the destruction of the first dragon, you will listen to a noise like thunder in the distance when you return to Blancherie. You need to talk to the Jarl to learn more about it that will give you this quest. Under the dialogue, you must go to the High Hrothgar, to do this, start by joining east Fort Amol of Blancherie then take the mountain way which lies to the south. Follow the road to Fort-Ivar 7000 to finally reach the stairs that lead you to your destination. Follow the trail to the summit of the mountain and enter the temple of the Grey-beards. Inside, you’ll be greeted by Arngeir, their spokesman. So follow his instruction to learn a new word of power (“balance”) for your cry of “Breaking” Once finished with training, you will need to demonstrate your mastery of the voice. To do this, press and hold the call button in the direction of the target to validate the target. Once the three targets hit, follow the Grey-beards outside the temple to learn the word “Tornado”, and so get the cry of “Pulse”. Then make your demonstration of mastery in using the shout through the door before it closes. After a short dialogue with Arngeir, the quest will end and you can begin the next. Just after finishing the voice training, Arngeir hand over the task to you to locate the horn of the legendary Jurgen parlevent. In order to start, go to north-west Morthal of Blancherie and continue towards the north-east Ustengrav. Once in, eliminate the 2 necromancers in the first room and enter the left lane. Also kill Draugr you come across your path and go in the dungeon until you arrive at a room with a bridge. There, up the stairs located at the bottom left and cross the bridge to reach the entrance to the second part of the dungeon. On the other side of the door, go to the large cave and go down the left. In the old banquet hall, remove Draugr and continue your way through the back door. Cross the bridge which is one step further and advance to the next room . There, kill the monsters then precede in passing in the hallway to the right. After this, you will find access to the latest level of the vast cave that you visited before. At the base, kill the skeletons lurking around and cross the big bridge on the right. 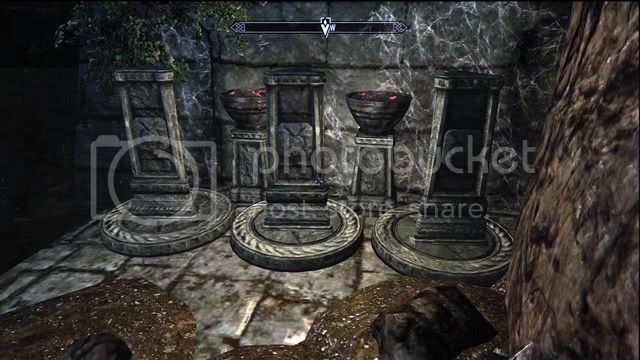 Now you will locate a small room with 3 magic stones. Position yourself near the first and then run in order to graze the other two stones. When you see the three gates in front of you open, use the cry of “Pulse” to move quickly. Once on the other side, go up the stairs to arrive at the next room. At the top, use the cry of “Pulse” to avoid trapped tiles then advance to the door blocked by spider webs. On the other side of it, pull the string to the left of the gate to unlock it. Unluckily you will not find on the altar is a small note for you when you reach the room where the horn should be. After reading it, go into the small back room and pull the lever in the left lane to get to the start of the dungeon. Back outside, go to Rivebois, rent the attic of the inn with Delphine then go to rest. Delphine, will wake you up in the night and hand over you the horn of Jurgen, that will efficiently trigger the quest “A blade in the shadows”. The artifact in your possession, return to the temple of the Grey-beards and pass it to Arngeir. Then go behind the old man in the main room to get the word “Push”, the last part of the cry “Breaking”. The next step is to listen to the powerful voice of Grey-beards to end this quest. Having started this quest by recovering the Horn of Jurgen Parlevent with Delphine, go after the latter in his secret room and pay attention to his instructions. Under the dialogue, get the map of cemeteries Dragons on the table then head to the grove of Kyne, east of Blancherie. There, join Delphine then follow it to the scene of the attack of the Dragon. The next step is to face the beast and then overcome in order to recover its powers. 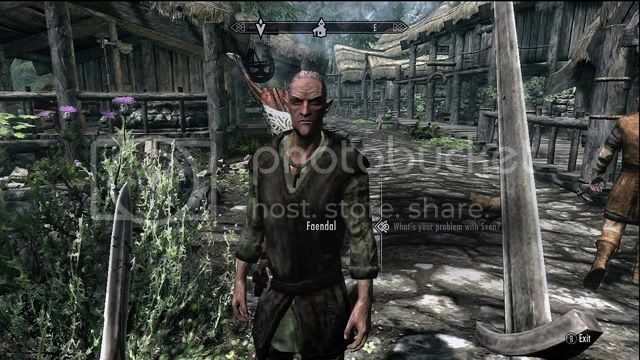 According to the confrontation, evaluate with Delphine then listen to his plan to infiltrate the embassy Thalmor to end the quest and start the next. As soon as you kill the 2nd dragon, unite Delphine in his hideout and then listen to his plan Rivebois penetration. Under the dialogue, get to the farm of Katla road, far to the north-west, then take the north way to the entrance of the city of Solitude. There, enter the inn on the left and then go talk to Malborn. This plan will explain in more detail then you will be asked to hand over the equipment you want to use for the mission. Feel free to give it all you want but it is pretty wise to give him things to promote infiltration. As soon as you are prepared, go back to the farm and talk to Delphine Katla. This will then give you a mask noble. You can take the coach that takes you to the reception of the embassy. Once at the target, show your invitation to the guard and enter the house. 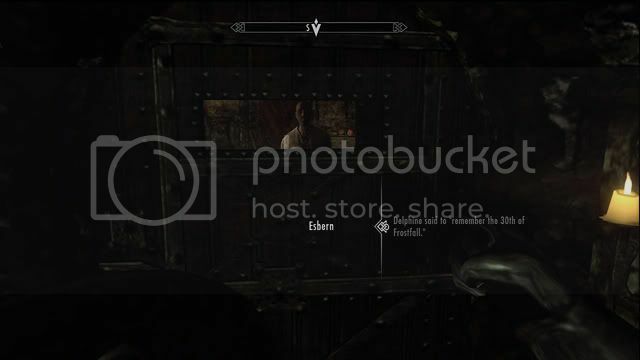 You’ll meet Elenwen inside which will ask about your identity. Luckily, you Malborn draw business and tell you he needs a little diversion for you to go quietly. Under the terms of dialogue, tour the guests not hesitate to spy on conversations around. Now you need to create a diversion by using mainly the means at hand. The simplest method is to have a glass of wine and the waitress to offer Razelan .The latter, recognizing, accepting of clowning to allow you to infiltrate. At this point, quickly arrive at Malborn near the kitchen and go after it. Then retrieve your equipment in the boot a little further and stroll through the door opposite to start the mission itself. 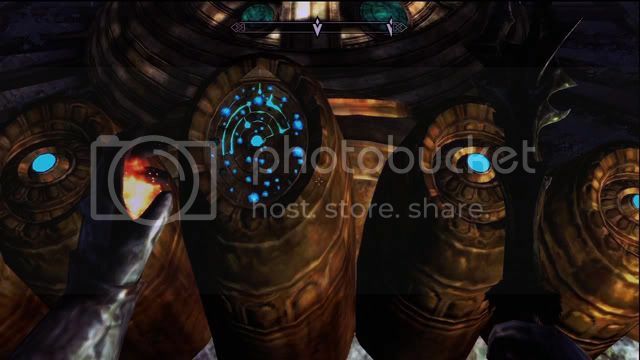 From that point, you are free to choose how high or infiltration, knowing that the 2nd method will be easier if you get the Thalmor (equipment) situated right in the room. In both cases, fight your way all the way through the room on the left and go into the hallway from the base to find a door to the outside. As soon as you reach outside, move to the main building and kill the guard to enter. On the other side of the door, wait for the guard up the stairs then move quietly at the desk to reach the bottom area. There, search the chest to look for information on dragons and then retrieve the key to the interrogation room. These two objects in your possession go down the stairs to your left and enter the torture chamber. Down, approach quietly (or not) Rulindil and kill him before you take the guard accompanying. You can then search the chest to the right office to get the information you were looking for. 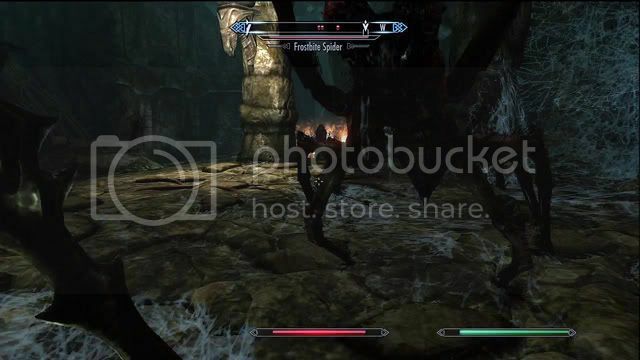 Before leaving, you may want to save the prisoner, in this case, two guards will appear in your back with hostage Malborn (Brela or if you have used as a diversion). If you want to save the hostage, do not wait until the end of the dialogue and go immediately to the floor to eliminate the guards. Whatever your decision, get the key to the door of one of the guards then you run away from the cave of smell. Once you reach outside, go back to the Delphine Rivebois and give your report to complete the quest. Here you need to go and talk to Faillaise Brynjolf on the market square according to the conversation with Delphine,. You will then have to influence him to disclose his information on Esbern. If you can’t do that, you will complete a small task for him; in this case, refer to the pursuit of the thieves’ guild called “The deception of Brynjolf.” Once the information in your possession, go to the channel located at the end of the city and walk through the door at the bottom to enter the trap. Inside, defeat the two bandits who wait at the entrance and continue to advance in the tunnels. A little further, drop down below and enter the hallway on the right. Proceed then to the gate and up the stairs that are on the other side. At the top, past planting and then go through the back door to reach the den of the thieves’ guild. There, cross the area and go through the back door to reach the second section of the mousetrap. 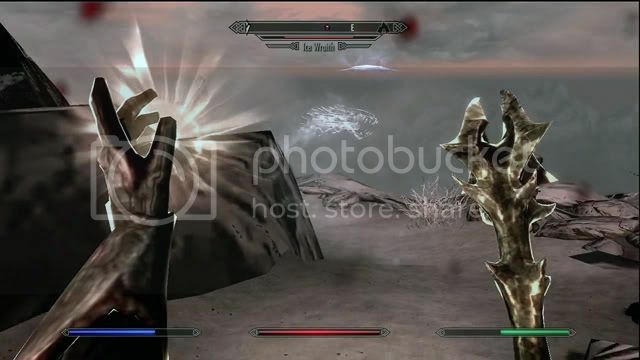 Eliminate Thalmor agents who are on the other side of the door and proceed through the tunnels taking great care to traps. Then continue your progress to the last level and open the door to reach the hideout of Esbern. There, up the stairs and approach the objective marker to begin the conversation with the old man (image13-14). When he let you into his “fortress”, you can ask him some questions and then the quest will end. Just leave the room in the start of the quest and kill Esbern Thalmor agents who invested corridors. Then cross the trap in the opposite direction to arrive at the hideout of the thieves’ guild and the streets of Faillaise. Once you are outside again, move on and gather Rivebois Esbern and Delphine. After the reunion ended, follow Delphine in his hiding place and then make a decision if you will be the way with him or join later Karthecime. In both cases, go to the place indicated on your card and fight your way through the perjurers who live in the building. Once you done with this join the benchmark target and go into the cave Karthecime. Inside, go after Esbern and Delphine through the ruins. Once you get to the device of the bridge, you need to enter the combination in order to unblock access. In the next room, locate the symbol of the son of Dragon then move on the ground while walking only on the plates of this type. You will then reach a lever that allows you to disable the traps in the area. Once you solved the puzzle go on to the entrance of the sanctuary. Run your blood on the seal over here and enter the temple to see the wall of Alduin. Listen while the explanations of Esbern and discuss with Delphine to end the quest and get the hit &quot;The Wall Alduin&quot;. Exit the temple and then go to High Hrothgar to speak with Arngeir . Reluctantly, it will accept you to teach you a cry that you will meet Paarthurnax, the leader of the Grey-Beards. After learning the words sky, spring and summer the cry of &quot;Clear&quot; before you go up the stairs and use your new power to clear the fog. Then continue your progress to the top of the mountain using your cry when the need arises. 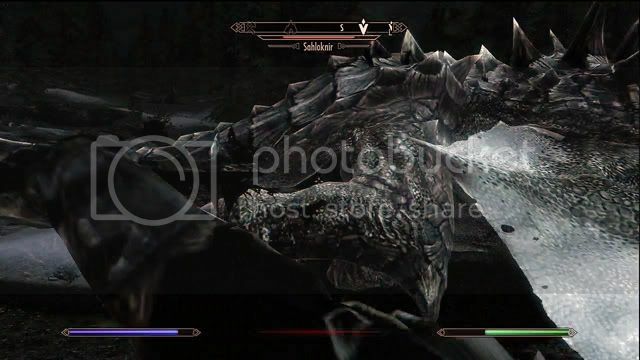 After this, move toward of the stele to come into view Paarthurnax that to your surprise turns out to be a Dragon. After little discussion with the wise, it will teach you a new cry that is actually &quot;Firebreathing&quot;. The next step is to greet the old dragon spitting flames literally in his direction. When you become properly presented Paarthurnax, it will allow you to ask any questions you want to cry Fendragon and parchment of the Ancients. After inquiring Paarthurnax the Scrolls of the Ancients, coming off the world and move on to the High Hrothgar, that is the temple of Havresciel. Go to Fortdhiver and move to the Academy of the Magi. Now go o to Faraldi as children of the Dragon at the entrance so that it allows you without troubles. Remember that you can start the quests of the academy at the same time. Once you arrive in the academy, go into the main room and turn right towards the Arcaneum right away. Now ask Uraga gro-Shub about the Scroll of the Ancients and confess him to the Children of the Dragon. Very soon you will be introduced with 2 books by the magician on his desk that you can then view at your free time. Reading the book entitled &quot;Reflections on the Scrolls of the Ancients&quot;, you will unlock Daedric quest &quot;The quest for the extraordinary&quot; in which you can recover the precious artefact. Once with this quest, talk with the Uraga book and move to the Outpost Septimus Signus north of the academy. You Here you will meet a crazy mage who will put you on the way to the Veterans Scroll through the mission &quot;The quest for the extraordinary”.